As young women approached the entrance to Planned Parenthood, some of them freely asked for alternative solutions to an abortion. 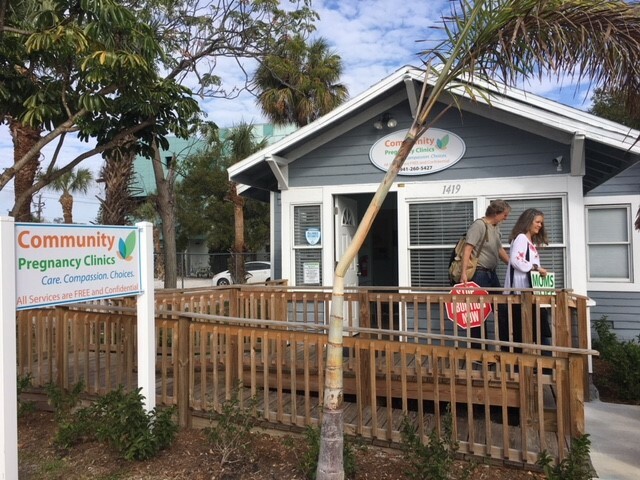 Our sidewalk counselor referred them to the adjoining Community Pregnancy Clinic and they followed her advice to go there. 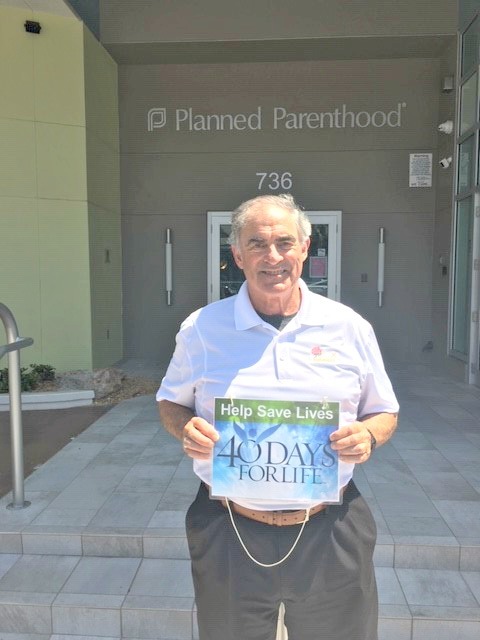 The pro-life doctor is on call there 24/7. Her staff gave her a slingshot to honor her as their David. 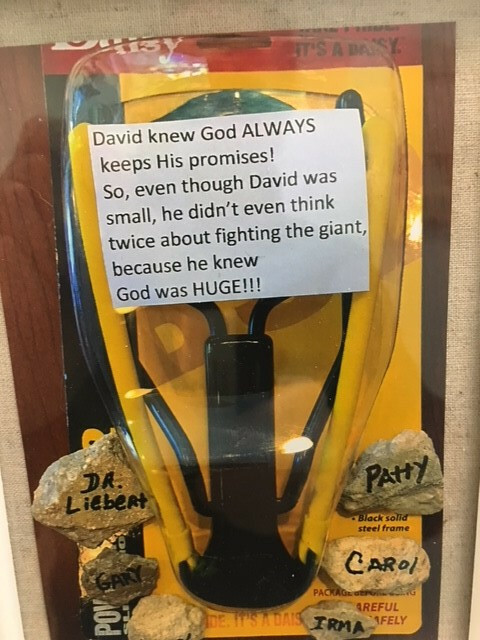 They wrote, "Even though David was small, he didn't even think twice about fighting the giant, because he knew God was HUGE!!!" Another couple stopped their car at the curb and the man said, “We aren’t very religious, but we listen to conservative radio and we know that abortion is wrong!” The movie Unplanned is having an effect! It tells the story of a former Planned Parenthood Employee of the Year who converted after she saw a real abortion on a sonogram. Since then, she has led many other employees out from the evil of Planned Parenthood that sells abortions and is accused of selling aborted body parts. The Community Pregnancy Clinic’s prayer room overlooks the Planned Parenthood parking lot. From the prayer room they see the sad and crying mothers being dropped off by their boyfriends, and the even sadder post-abortive mothers coming out. They pray for the mothers to change their choice for abortion and to choose life. We prayed the rosary for post-abortive mothers to be healed, for the conversions of the abortionists and their supporters and for the Planned Parenthood abortion center to close forever. 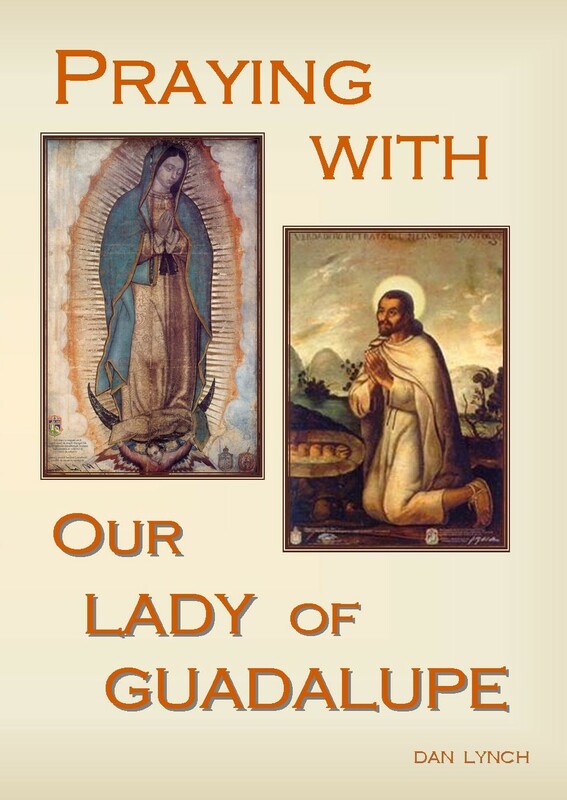 Please read my book, Praying with Our Lady of Guadalupe which contains prayers for a Peaceful Prayer Presence with Our Lady of Guadalupe and all of St. John Paul II's prayers for life through her intercession. 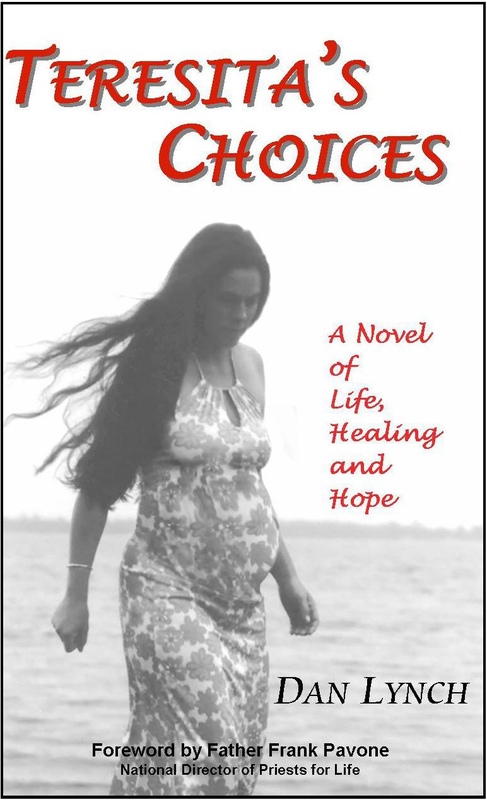 You might also enjoy reading my other book about hope for healing from abortion. What's So Special About the Missionary Image?